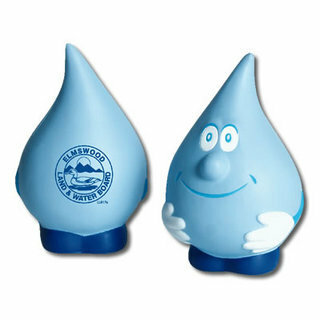 Print this stress reliever water drop with your logo! Great for conservation campaigns, environmentally friendly organisations, councils, hotels & resorts, state government or utility suppliers. We can custom colour this on orders over 2,000 e.g. if your colour it black - it will look like an oil drop!